1 cup old fashioned grits (NOT quick) I used Bob’s Red Mill Corn Grits. After running around town I finally found them at Festival Foods. 1. Adjust oven rack to middle position and preheat oven to 450 degrees. 2. Melt butter in 12 inch oven safe skillet over medium heat. 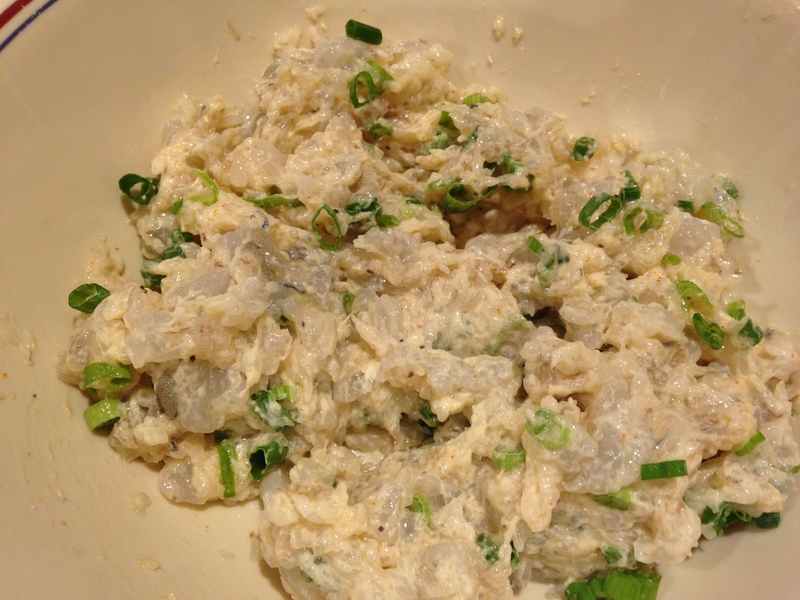 Add onion and salt and cook until softened, about 5-7 minutes. Stir in garlic and chipotle and cook until fragrant, about 30 seconds. 3. Stir in water and cream, increase heat to medium high, and bring to boil. 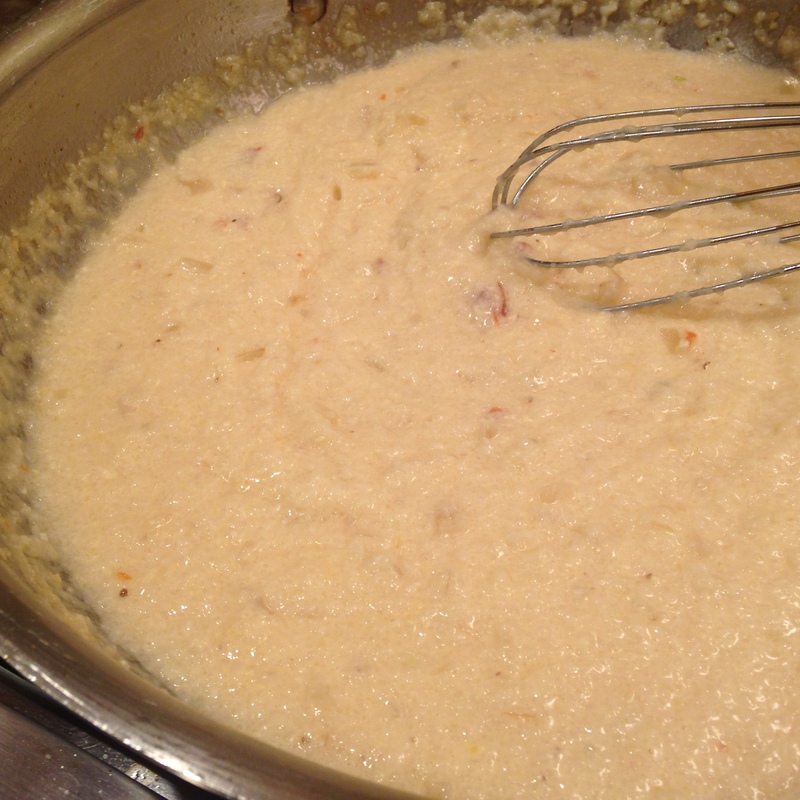 Slowly whisk in grits until grits are thick and creamy, about 15 minutes. 4. Off heat, whisk in cheese, eggs, scallions and pepper. 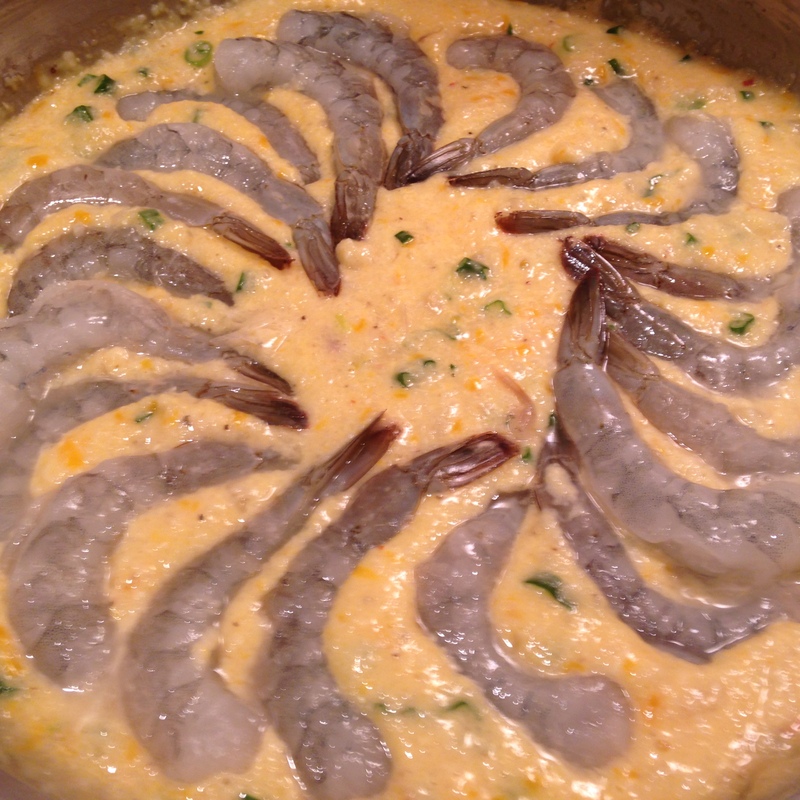 Arrange shrimp in pinwheel formation over grits, press lightly to submerge about half way. 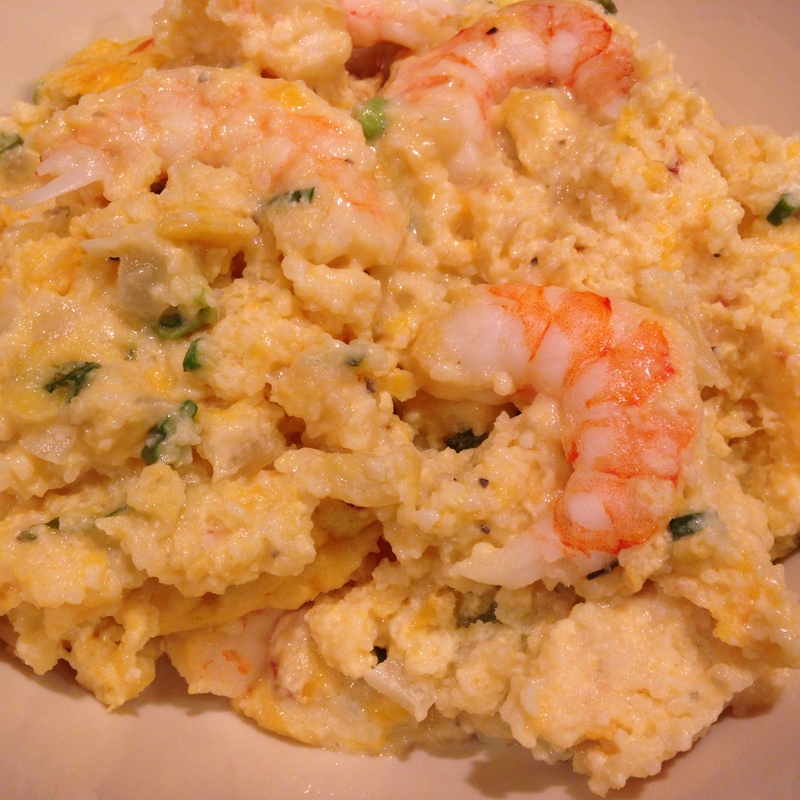 Transfer skillet to oven and bake until top is browned, grits are hot and shrimp are cooked through, about 15-20 minutes. Remove from oven and let cool 10 minutes before serving. Didn’t I tell you that was easy? Enjoy!! I forgot about this one. I think this would be a great treat for Super Bowl Sunday. I guess I am making Dawneo’s for Friday!! I first made these last February 2014. Guess I will make again this February!! I checked with Eric to see if there was any different cookie/dessert he wanted me to bake this weekend. I really love to bake and am getting bored making the same things over and over. I really want to try some different recipes. He found a recipe for brownie bars that I thought would be fun to make. 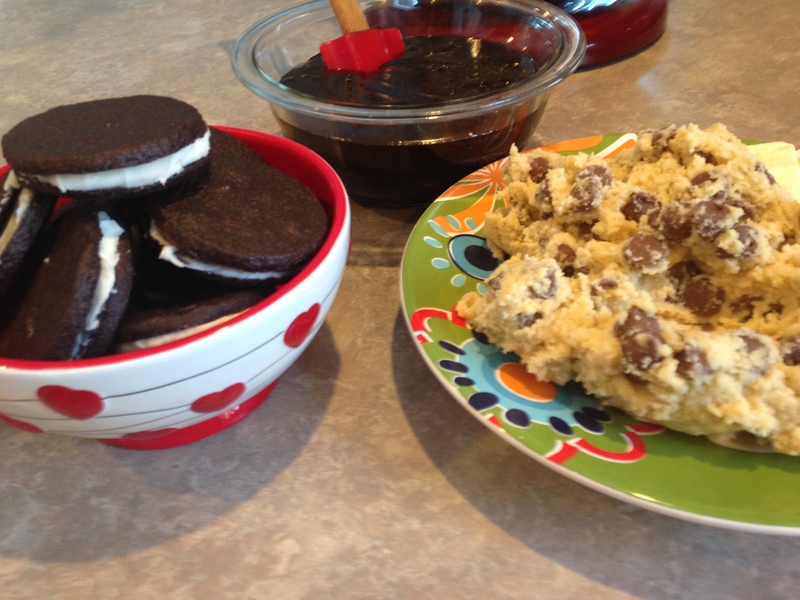 I have a Faux Oreo recipe that I love to make. Kent calls them my Dawneo cookies. 🙂 I made my Dawneo cookies in the morning and the brownie bars in the afternoon. You could also make your life easy and buy a package of Oreos at the store. Here is a simple and very delicious treat I am sure every person in your life will love!! 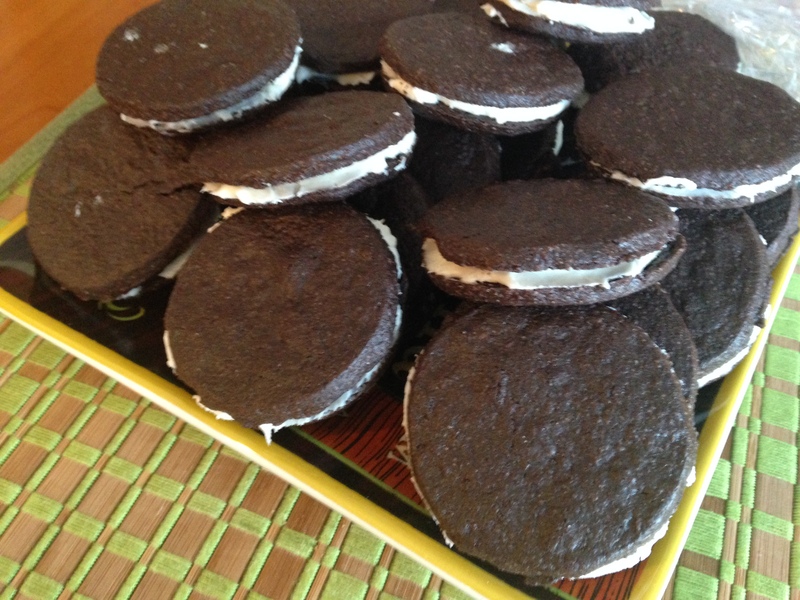 For the Oreo layer; buy one package of Oreos or bake the ones I made. They are awesome and freeze great too! 1. 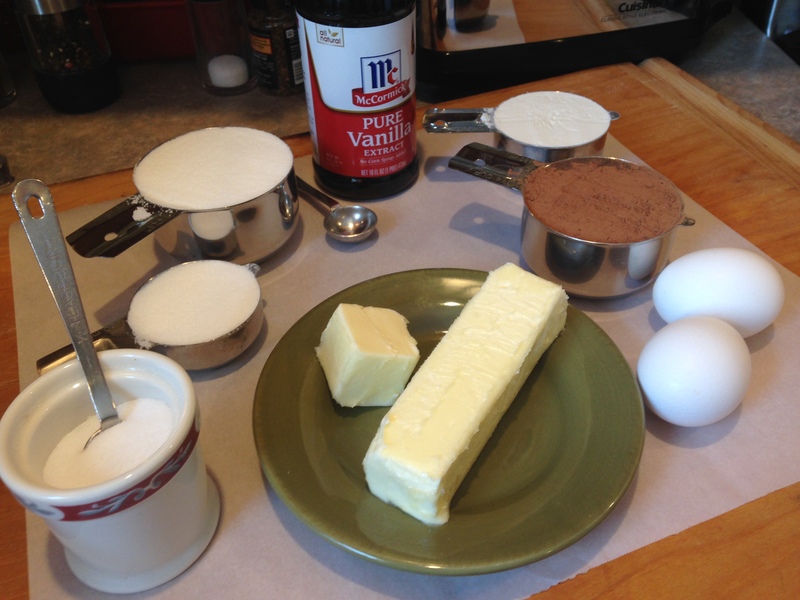 Brownie layer; In a medium sauce pan, melt the butter over medium high heat. Once melted, remove from heat and add sugar and cocoa, whisk together. Add salt, vanilla and eggs. Whisk until eggs are combined with mix. Add flour and mix well. Set batter aside. 2. Cookie Dough layer; Cream together the butter and sugars in mixer. 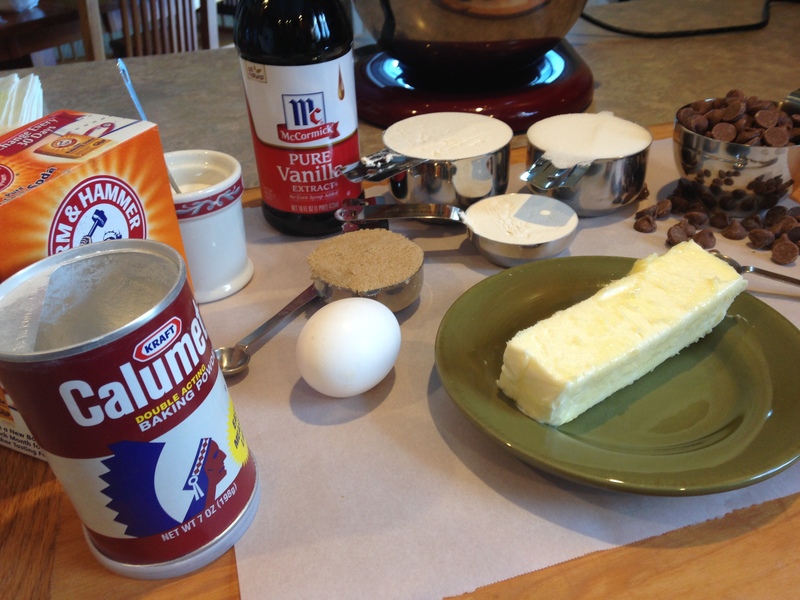 Add the eggs and vanilla, make sure to scrape down side of bowl. Add dry ingredients until mixed together. Mix in chocolate chips. 3. 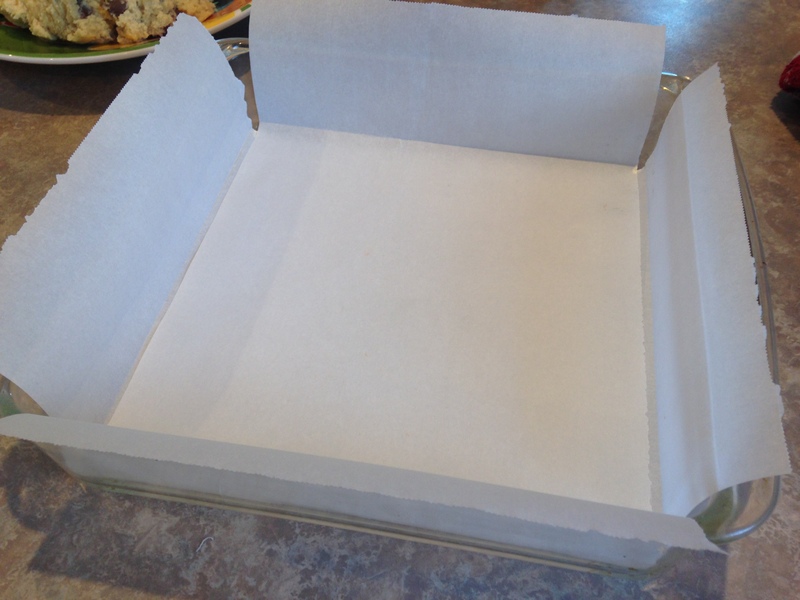 Line bottom of 9×9 baking pan/dish with parchment paper. 4. Assemble as follows; Layer the cookie dough on bottom of pan. 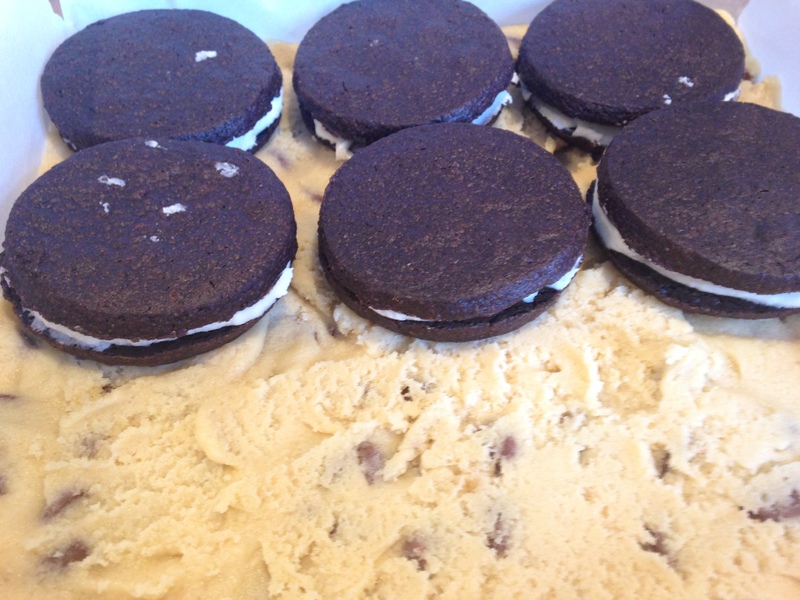 Single layer as many Oreos that will fit on top of the cookie dough. It is not necessary to overlap. 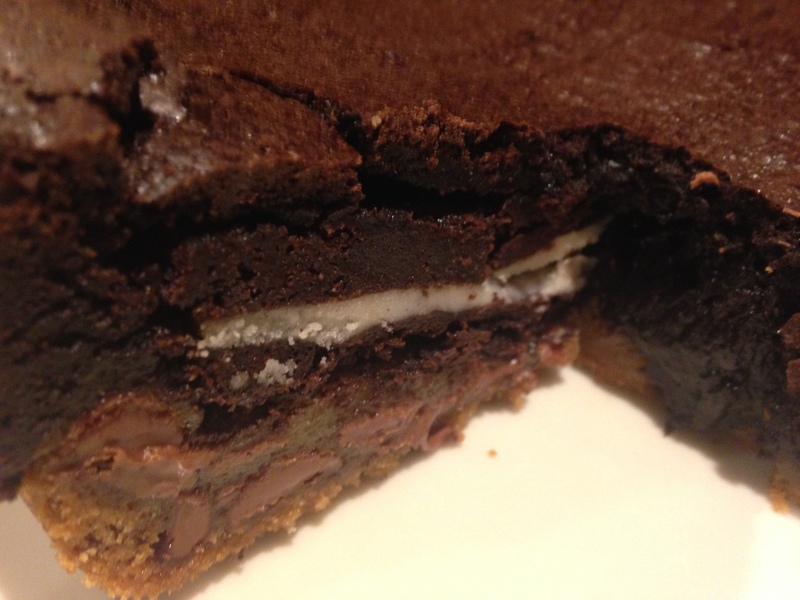 Pour the brownie mixture over top of Oreos and spread evenly. 5. Bake 30-35 minutes. (I baked 40-45 minutes) I checked by using a toothpick. Sometimes I just don’t want to fry. Too messy. Here is a simple and delicious recipe to go with your hamburger, shrimp burger, chicken parmesan sliders, steak or to eat all by themselves. Give it a try!! 2. Scrub the potatoes, cut them in half lengthwise, then cut each half in thirds lengthwise. You will have 6 long wedges from each potato. Place the potatoes on a sheet pan with the olive oil, salt, pepper, garlic, and rosemary. With clean hands, toss all the ingredients together, making sure the potatoes are covered with oil. Spread the potatoes in a single layer with 1 cut-side down. 3. Bake the potatoes for 30 to 35 minutes, turning to the other cut side after 20 minutes. Bake until they are lightly browned, crisp outside, and tender inside. Sprinkle with salt and serve. 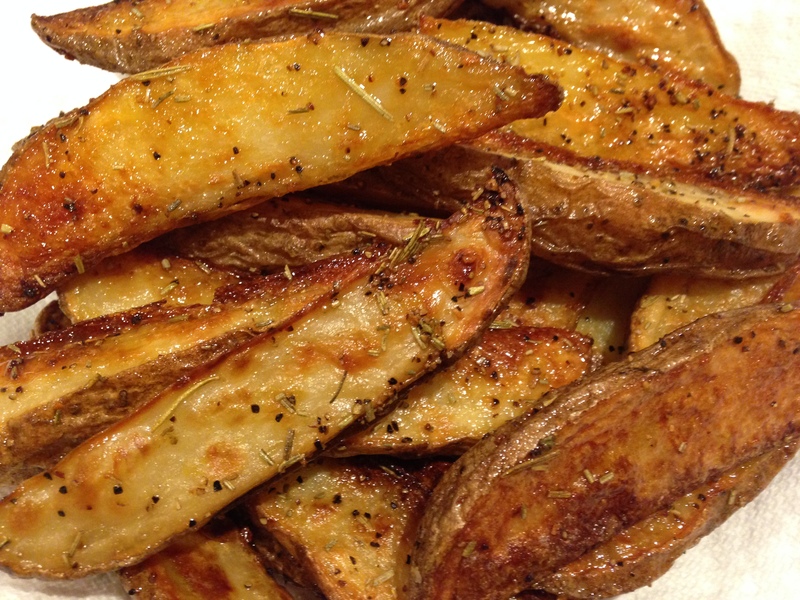 These potato wedges are AWESOME!! Enjoy!! It is not too often Kent has any food requests. He just eats whatever I put on the table. We have been going through some Cook’s Country magazines. He found this recipe and thought it sounded pretty tasty. 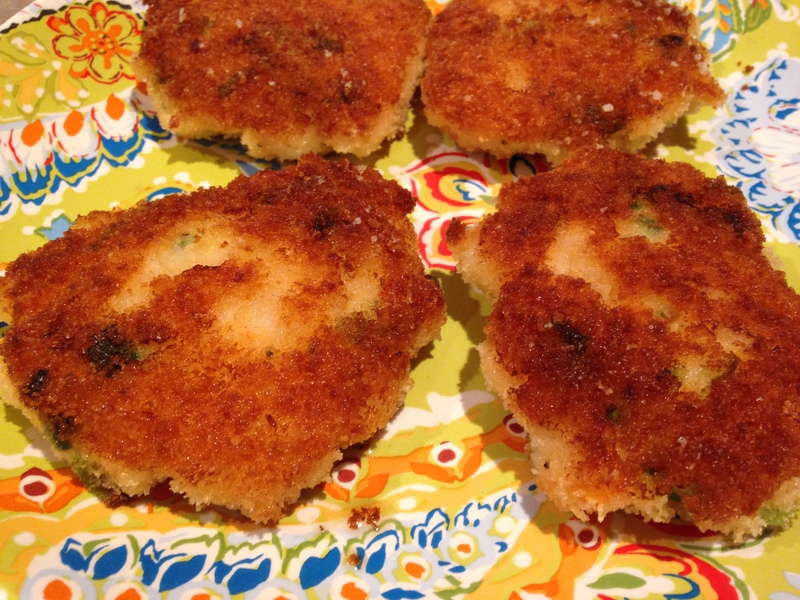 I am not a seafood fan but I made these along with Chicken Parmesan Sliders and Baked Potato Wedges for Sunday dinner. 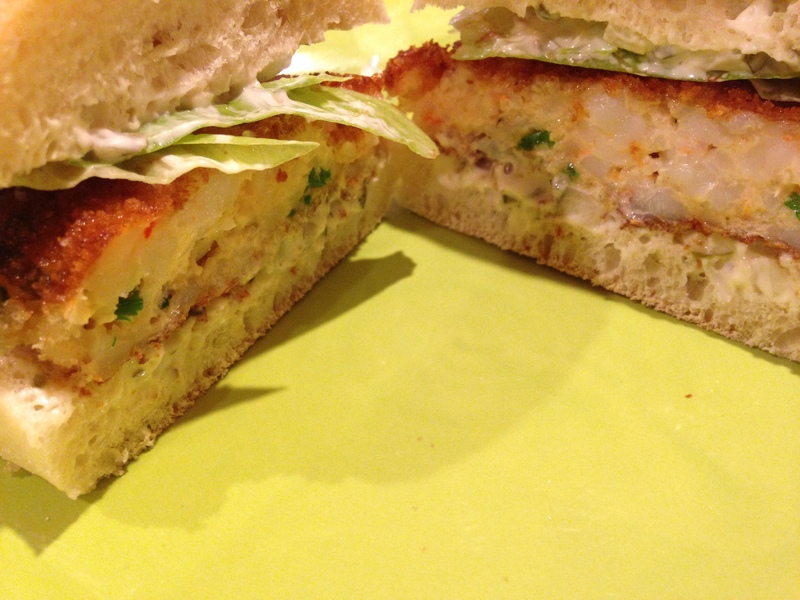 He really enjoyed this burger and wants this on my rotation of simple and delicious recipes! Combine all ingredients in bowl and refrigerate until needed. 1. 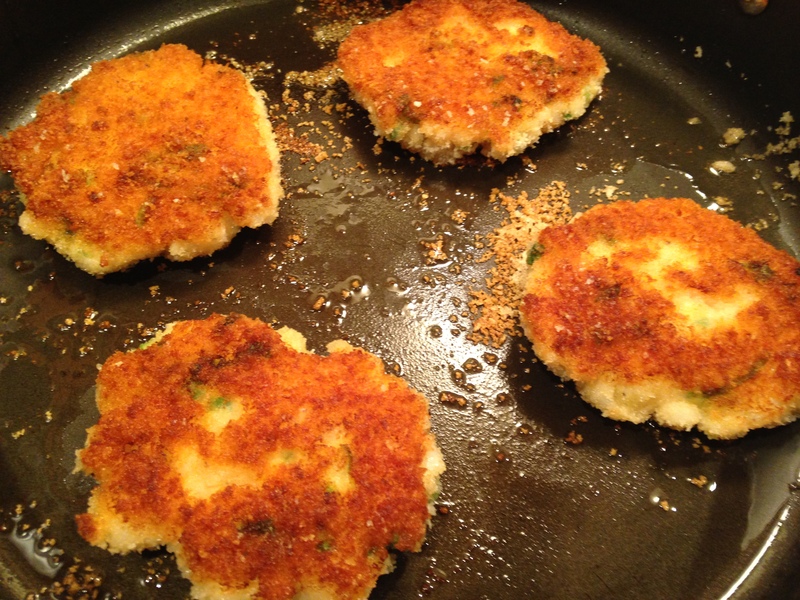 Pulse panko in food processor until finely ground, about 15 pulses; transfer to shallow dish. Place one third of shrimp (1 cup), mayonnaise, pepper, salt, and cayenne in now empty processor and pulse until shrimp are finely chopped, about 8 pulses. Add remaining shrimp (about 2 cups) to shrimp mixture in processor and pulse until coarsely chopped, about 4 pulses, scraping down sides of bowl as needed. Transfer shrimp mixture to bowl and stir in scallions. 2. 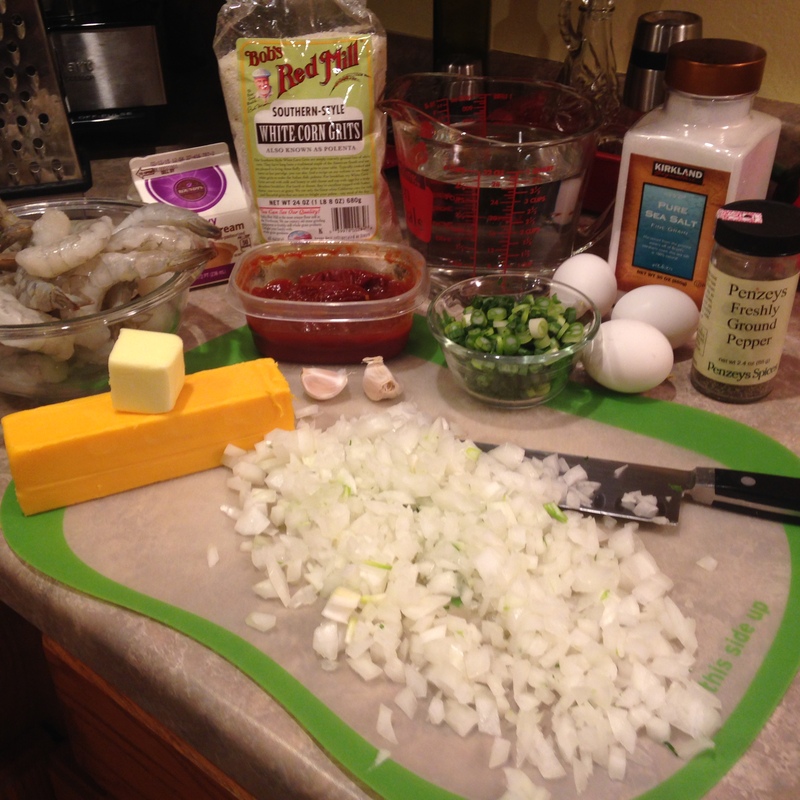 Divide shrimp mixture into four 3/4 inch thick patties (about 1/2 cup each). Working with 1 patty at a time, dredge both sides of patties in panko, pressing lightly to adhere, and transfer to plate. 3. Heat oil in 12 inch nonstick skillet over medium heat until shimmering. Place patties in skillet and cook until golden brown on first side, 3-5 minutes. Carefully flip and continue to cook until shrimp registers 140-145 degrees and second side is golden brown, 3-5 minutes longer. (My time was 5 minutes each side. When I used the thermometer with that timing the burgers were 140, which was perfect!) Transfer burgers to paper towel lined plate and let drain, about 30 seconds per side. 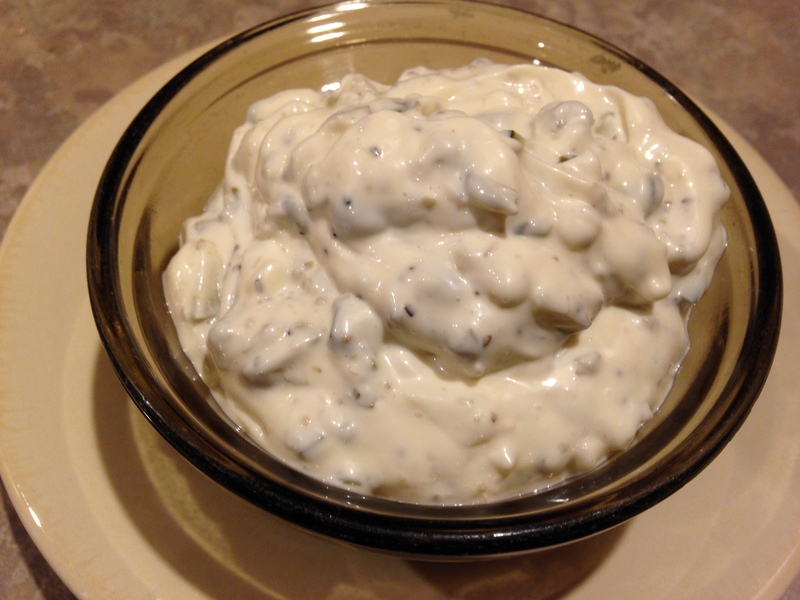 Spread tartar sauce (which is amazing!) on bun bottoms, then place burgers and lettuce on top. Cover with bun tops. Serve and Enjoy!! Since everyone else in the family gets baked goods I thought Rooney would enjoy some too. 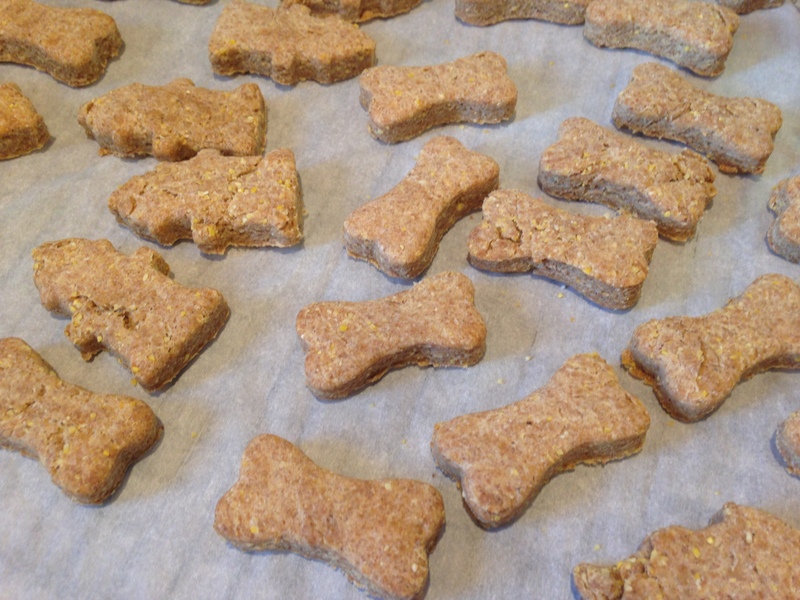 Here is a Simple and Delicious (according to Rooney) biscuit for your pup! I checked a few different recipes I found online, took a few ingredients from each and whipped these up for Rooney. 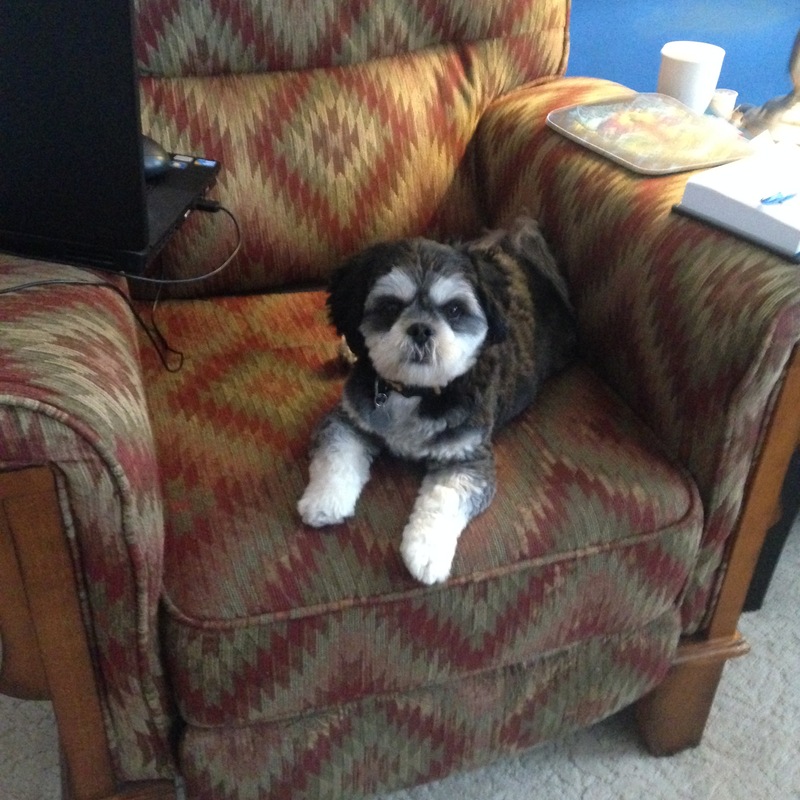 Pinterest is a great place to look for all kinds of recipes, including dog biscuits!! 3. Knead dough on lightly floured surface until smooth and no longer sticky. Roll out to 1/2 inch thick. 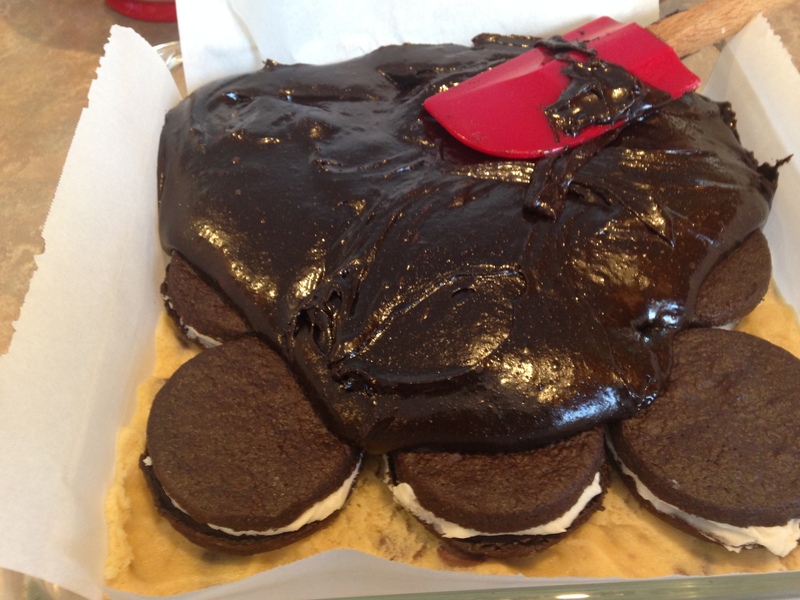 Cut with cookie cutter and place on cookie sheet lined with parchment paper. 4. Bake 25-35 minutes until golden brown. Cool before serving. Store in ziploc bag. King Rooney enjoys these scrumptious treats!! We enjoy a glaze on our ham. I used this glaze at Thanksgiving and Christmas. We buy a Roundy’s ham from Copp’s, which is a local grocery store. For many years I would buy the Honey Baked Ham from the Heavenly Ham store. I bought a ham one day from Copp’s when it was on sale. Hey, why not! Well, now that is all we buy. Of course, I could try a Kirkland ham from Costco. (I am a Costco fan!) 😉 For now, a Roundy’s ham with or without this glaze is Simple and Delicious!! 1. Place all ingredients in a heavy bottom saucepan. Mix well, heat over medium heat, stirring occasionally. Bring to a simmer and cook for 1 to 2 minutes until sauce thickens. Remove from heat. 2. Pour some glaze over ham, 30 minutes before you will remove from oven. You can put glaze you did not use in a bowl and serve at dinner. Today, Martin, Martin2 and I went on a road trip to Milwaukee. We happen to enjoy shopping together. Our goal was to go to Pleasant Prairie Outlet Mall. On the way there we stopped at the Milwaukee Public Market. Believe it or not in the 13 1/2 years I have lived in Wisconsin I have never been to this market. Martin2 thought I would enjoy this pit stop. It was wonderful. There was lots of different restaurants and food entertainment for my pleasure. There was a spice place, flower place, odds and end kitchen place, cheese place, lots of food to enjoy and my most favorite – Oro di Oliva. If I have a weakness, this is it. A place with different oils and balsamic vinegar. I tasted almost every single flavor they have. 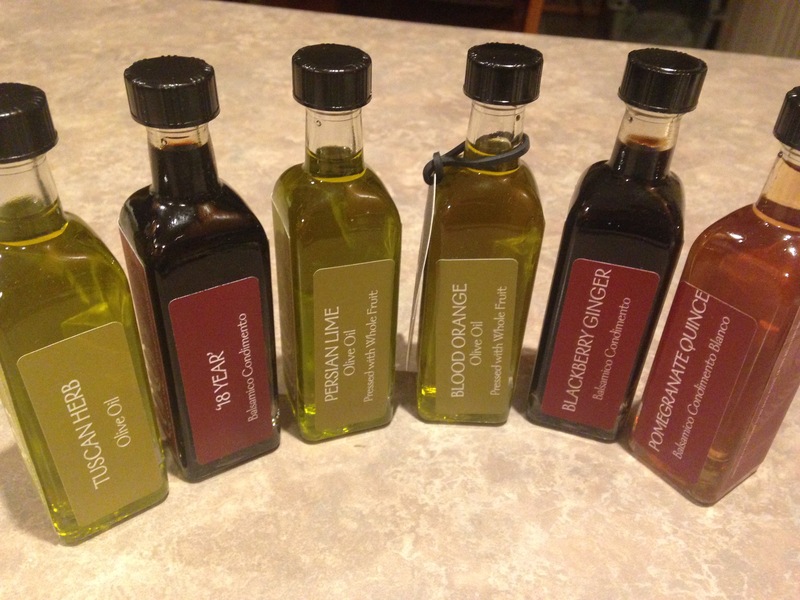 I ended up getting their Popular Pairing Sample and a large bottle of the Tuscan Herb Olive Oil. So delicious!! We went to Pleasant Prairie Outlet Mall. Very much fun and enjoyed our window shopping with a touch of purchases. Being able to walk outside, with the sun shining, fabulous company, lots of chatting and laughter was a perfect day. Ending the evening with Kent and I having a couple of beers and a homemade pizza was wonderful. 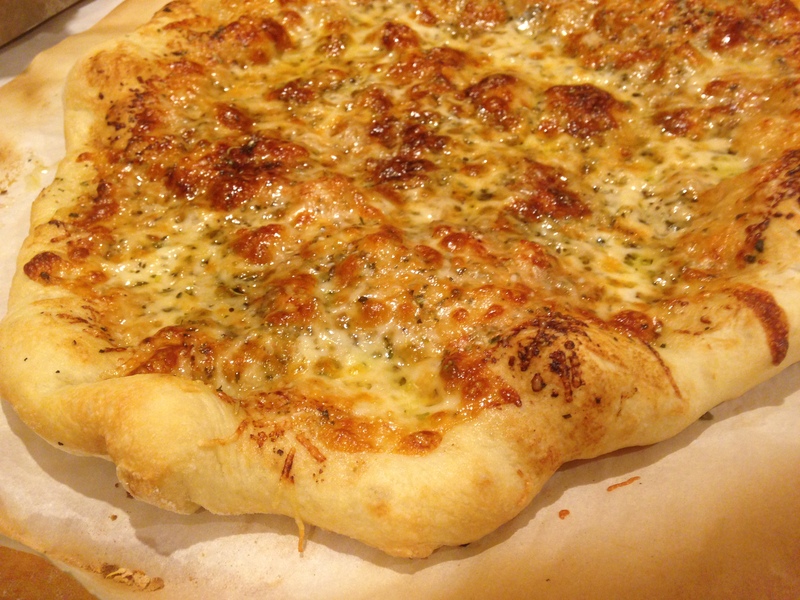 Our pizza was a combination of the Tuscan Herb Olive oil and 18 year Balsamic Vinegar, a dash of dried oregano, basil, rosemary, thyme, “my seasoning“, mozzarella, and Parmesan cheese. Now that is Simple and Delicious!! We LOVE these biscuits. I make them for breakfast, lunch or dinner. They are super simple and really delicious. Just bake them. They take no time at all!! 1. Adjust oven rack to middle position and heat oven to 450 degrees. Line baking sheet with parchment paper. Pulse flour, sugar, baking powder, baking soda, salt, butter, and shortening in food processor until mixture resembles coarse meal. Transfer to large bowl. Stir in buttermilk until combined. 3. 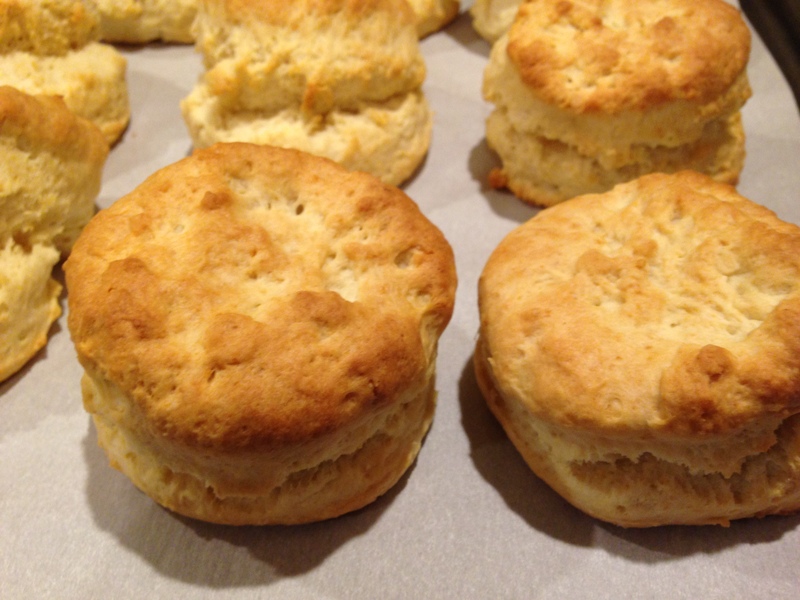 Bake until biscuits begin to rise, about 5 minutes, then rotate pan and reduce oven temperature to 400 degrees. Bake until golden brown, 12 to 15 minutes, then transfer to wire rack and let cool. It was midnight. I was checking out Pinterest and saw some slow cooker recipes, which reminded me of beef stew. I remembered I had a 2 1/2 pound chuck roast in my freezer. That thought got me thinking about what I could make for dinner the next evening. I decided to take the chuck roast out of the freezer, get up a little earlier the next morning and make beef stew. It took me 30 minutes to get this ready this morning. I either use my crock pot or dutch oven for this recipe. If you decide to make before going to work the crock pot works. If you have a couple hours on a Sunday then the dutch oven works. 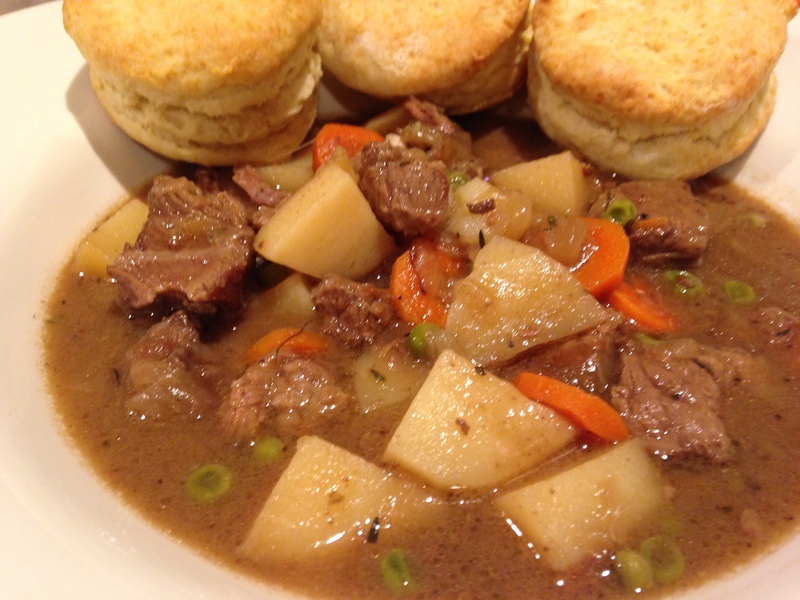 Either way this beef stew is simple and delicious!! 1. Heat 2 Tablespoons of vegetable oil in 12 inch skillet or dutch oven over medium heat. Sprinkle salt and pepper on both sides of chuck roast. Place chuck roast in utensil. Brown meat, 5 minutes each side. Take meat out of pan and place on plate. 2. Add 1 Tablespoon vegetable oil to skillet or dutch oven. Add onions and saute for 5-8 minutes, until opaque. 3. While onions are cooking, cut the chuck roast into 1 1/2 inch bite size pieces. 4. Add garlic to onion and saute 30 seconds. Add 3 Tablespoons flour and mix well together. 5. Add 32 ounces of broth and thyme. Mix together, add meat. 6. If using dutch oven, bring to simmer and then put dutch oven with lid on in 300 degree oven for one hour. After one hour add potatoes and carrots, cover and return to oven. Simmer until meat is tender, about 1-1 1/2 hours. Remove stew from oven. That is it. So, you can use your dutch oven (which I do often) or your crock pot. Serve with a green salad and biscuits! !